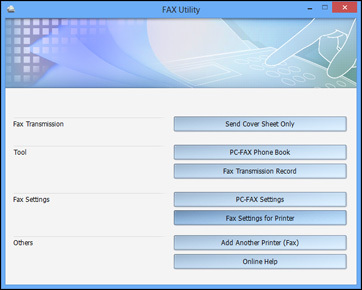 You can use the Epson FAX Utility software to save faxes. The software is included with your product. Follow the instructions below to configure the software. Windows (other versions): Click or Start, then select All Programs or Programs. Click EPSON Software, then FAX Utility. 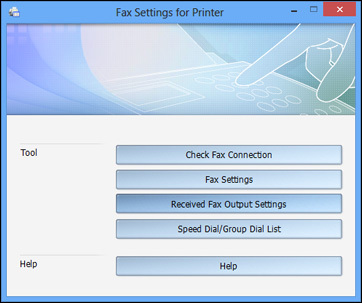 Click Fax Settings for Printer. Click Received Fax Output Settings. Select Save faxes on this computer, then click Browse. 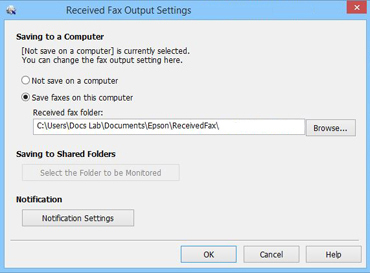 Select the folder you want to save the incoming faxes to, then click OK.
Click OK to close the Received Fax Output Settings window. Close the Epson FAX Utility.